When water invades your home through a flood or pipe burst, the water damage Arvada specialists with 911 Restoration of Denver are available to help 24/7/365. Acting fast is vital, and that is why our crews arrive within 45 minutes of your call. We offer efficient and quality services that deliver long term results. Providing comfort and peace of mind to your and our family is our main priority. Upon arrival, the water damage Arvada specialists will conduct a free home inspection to detect the source of your water leak and offer you affordable, long term solutions. With over 35 years of experience in the restoration industry, the water damage Arvada team uses state of the art extraction and drying equipment and, advanced technology to detect any hidden moisture in walls, flooring, and ceiling. Our IICRC certified technicians are trained to monitor each repair job closely and ensure no job is done hastily. For all of your home or business water damage repairs, call the water damage Arvada specialists at (303) 622-3871. Having seen over 1,000 home, the water damage Arvada specialists know that when a water leak happens in your home, removing it properly is the key to preventing mold. If any water remains in dark, humid areas, the mold will develop in 24-48 hours. The mold removal Arvada team have assisted many repair jobs to execute proper decontamination for mold remediation. Some of these repairs may not have been so extensive if yearly inspection and maintenance had been done. These simple measures could prevent major damage in the future. Any hint of standing water is never a good sign and should be inspected immediately. Letting time pass, increases your repair costs and will eventually need to call the mold removal Arvada team. Don’t allow any hint of unwanted water remain in your home. Alongside mold, dampness invites termites and ants. If your home or business has been affected by water damage, call the water damage Arvada specialists for your Fresh Start. The project managers, technicians, and staff at 911 Restoration Denver are committed to helping the people of their local community during time of need. 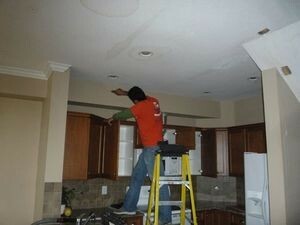 Our team works hard to restore both your home and happiness. We even offer to handle your insurance claim submission for you and, communicate each step of the way. 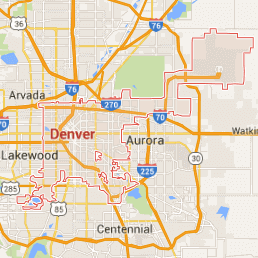 911 Restoration of Denver is committed to providing each customer with quality and excellence. At the first sign of a water leak, call the water damage Arvada specialists at and (303) 622-3871.